The book tree is back – adorning the front desk to welcome students back for the beginning of Winter Term. Welcome back and welcome to new students and faculty beginning at St. Paul’s School. The library is happy to see you! When is the building open? Generally, the library doors are open 7:45 a.m. – 9:55 pm with slight variations for weekends and Wednesday mornings (no Chapel!). 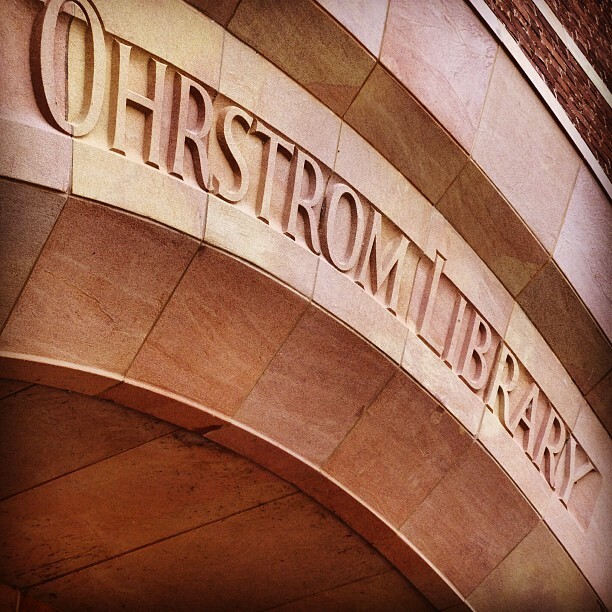 A complete description of the library’s operating hours is available here. The library site is home to our dozens of digital collections including ebooks, eNewspapers, eJournals, statistics and digital archives. If you are off-campus and need to access any of the digital library material, please first log in, with your SPS username and password to http://vpn.sps.edu. 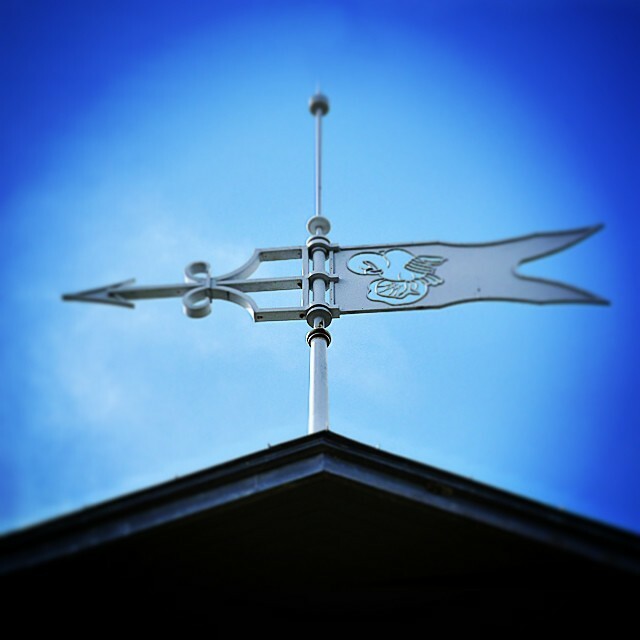 Ohrstrom Weathervane. 3 Sept. 2014. Personal photograph by Lisa Laughy. Instagram. Web. 4 Sept. 2014.